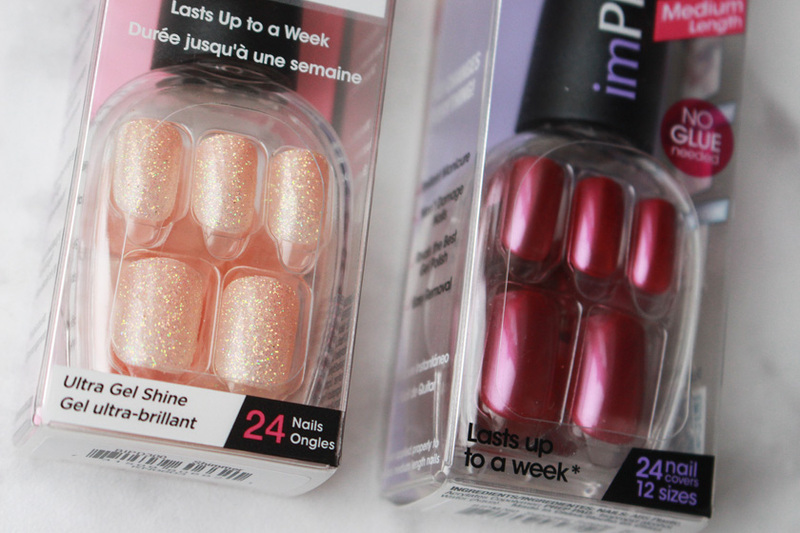 I wrote about imPRESS Nails in the past and needles to say... I was not impressed. They were too big for my small(ish) nails and didn't stay on at all. I actually think I got a bad batch (they came in a beauty box) or they are simply hit and miss. I loved the fuss free application though, so I decided to give imPRESS another go. First of all, they seemed to fit my nails better this time. I've heard from other bloggers that they experienced the same thing. I am not 100% sure but I think that the nails I got this time are thicker as well. I don't remember the first set being so thick. The two designs I have are Superstar Scandal* (medium length) and Shimmer*(short length). 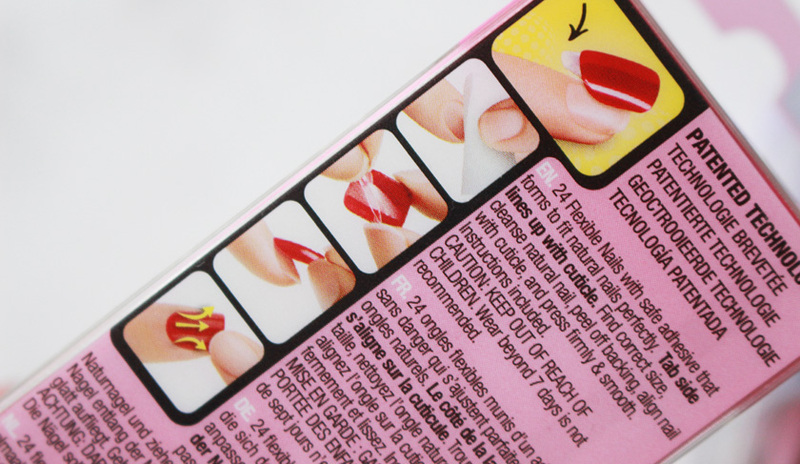 Each pack comes with 24 nails and most of you will be able to find a good fit for each nail, unless you have extra tiny fingersnails. I would buy one of the packs on sale to check. Superdrug have some designs for £3.99 at the moment. I used the burgundy set first, which is the medium length. The colour is stunning and perfect for Autumn. 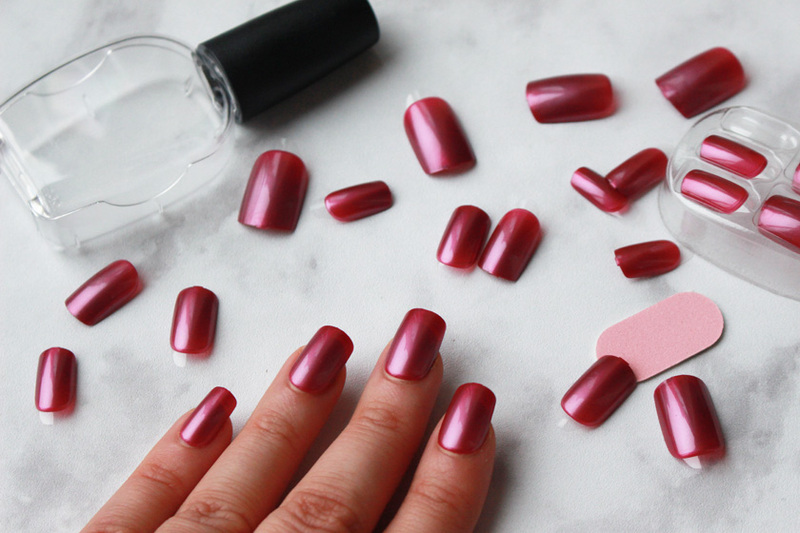 The application was super easy and after cleaning my nails with the wipe provided, I picked the correct sizes, peeled off the backing and pressed the nails on. Simple! I also trimmed the nails after a couple of hours, using nail clippers. Did they last longer than the first set? YES! All nails (except one, that I replaced the next day) lasted for 2 days, which is fine for me. I washed the dishes, cleaned the house and even used my nails for disassembling Zachary's lego :O If I wasn't a 'picker' they could have lasted for 3-4 days, because I actually struggled to peel off the remaining 6 nails that didn't fall off. 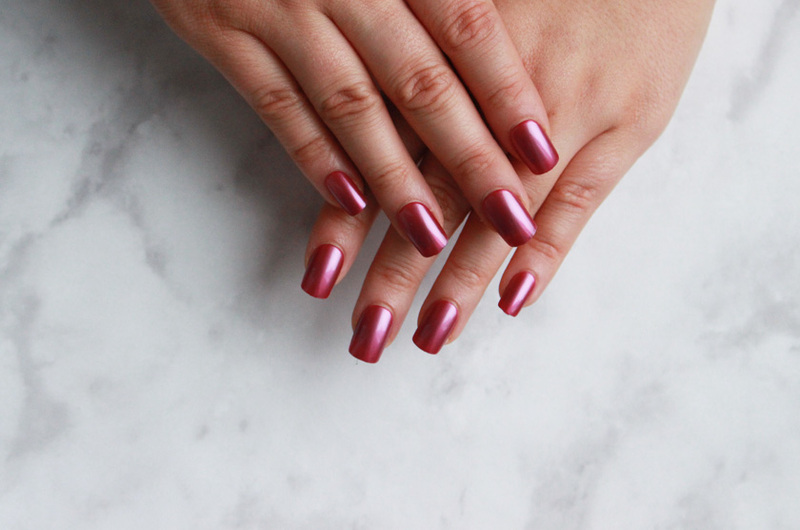 I wouldn't use press on nails like imPRESS as my weekly manicure and expect them to last for 7 days, but I love how quick and easy they are to apply and I find them ideal for a special occasion. There are plenty of colours and designs too choose from and they are often on sale.